It can be a challenge to make really satisfying and flavorful vegan tacos without resorting to some form of beans, whether refried or whole. The recipe below solves the problem with a super savory mix of sun-dried tomatoes, walnuts and spices. You can add any taco toppings you like, such as vegan sour cream or cashew cream, guacamole or salsa. I’ve been making up a batch of these every taco Tuesday, and my vegan family couldn’t be happier. The filling mix keeps well in the refrigerator, so I often make a double or even triple batch. I use the leftovers as a spread for crackers or sandwiches, or mix it with cashew cream to make a savory dip for chips. 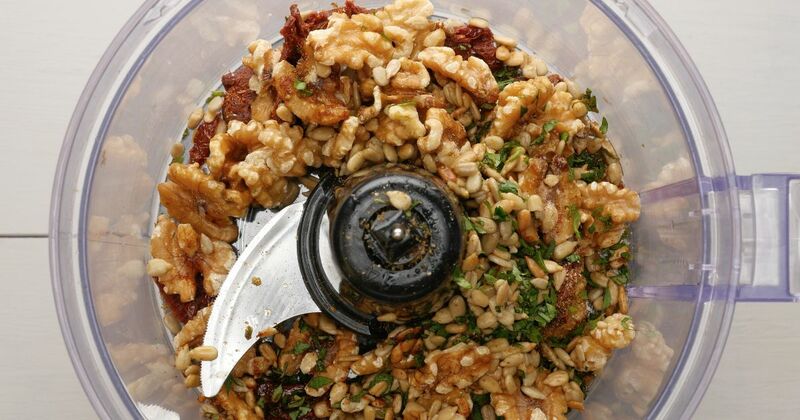 In a food processor, combine the walnuts, sunflower seeds, tomatoes, lemon juice, garlic, oregano, cumin, chipotle, soy sauce, salt and cilantro and pulse to a chunky puree. Spoon the mixture onto the warmed tortillas, dividing equally. Top each taco with a bit of lettuce and diced onion. 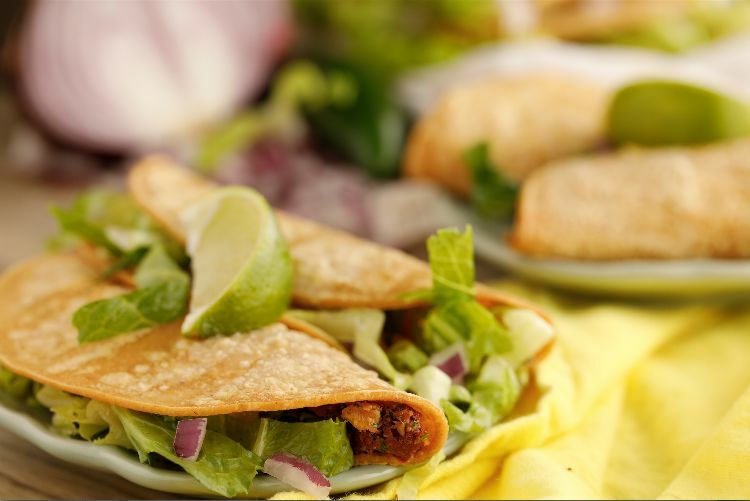 Squeeze lime wedge over the tacos.